The magazine Consumer Reports is calling on Fisher-Price to recall its Rock ‘n Play Sleeper after a U.S. agency said that 10 infants have died since 2015. Wallace said the CPSC’s alert is needed but is overdue. “To truly protect the public, the CPSC should set strong rules for all infant sleep products, including mandating what medical experts already recommend: a firm, flat surface in a bare crib, bassinet, or play yard,” he said. Fisher-Price told USA Today that “the safety of children is our highest priority. The loss of a child is tragic and heart-breaking” after Consumer Reports published its statement. ATTENTION PARENTS: Fisher-Price has issued a warning after reports of death when infants roll over while using their Rock 'N Play. There have been 10 infant deaths already involved. The 10 children who died were over the age of three months, it said. 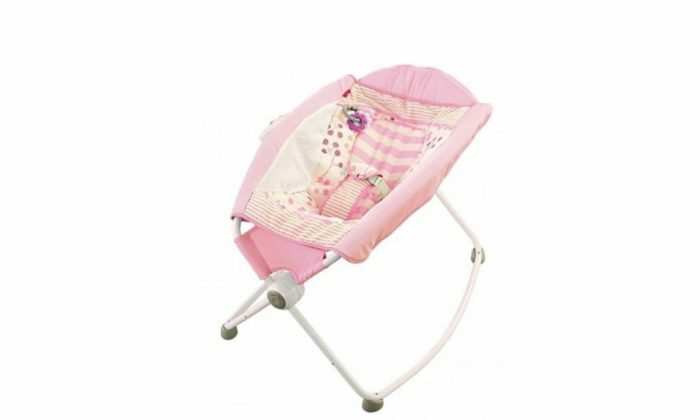 A different Rock ‘n Play model was recalled in 2013 due to the risk of mold developing between the seat cushion and the hard plastic frame. Fisher-Price received 600 reports of mold on the product, with some customers reporting their infants was treated for respiratory issues, coughs and hives after sleeping in the product, according to the CPSC.